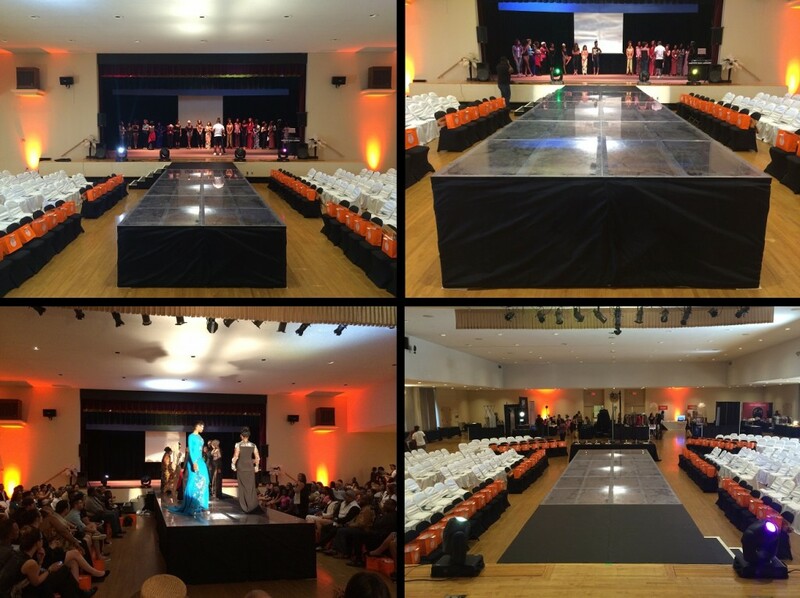 Fashion Show Runways for rent from Stage CMDR, Inc. in Sacramento. 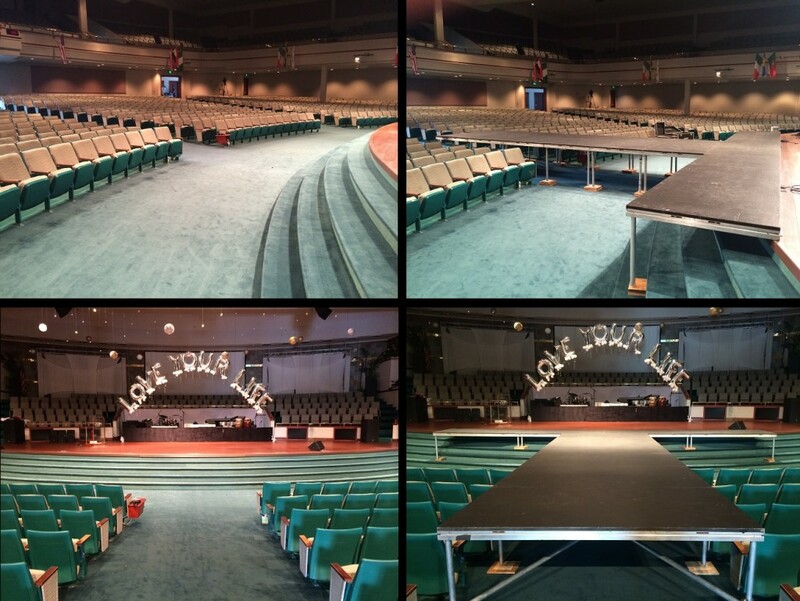 Multiple size and height configurations are available for fashion show runways and stages. Stage CMDR offers runway surface types in standard black wood, clear plexi/lexan, frosted, high gloss white, black, gold, red, blue, grey, aluminum, and diamond plate. In addition to the different surface types are also the multiple skirting colors, stair colors and lighting options to select from. A 24×16 main black stage with a 8×12 clear runway and a 32×4 runway over a fountain. A 24×16 main black stage with a 8×24 clear runway with lights underneath it. A 48×4 clear runway with lights underneath it. A 24x8x3 runway stage, 75% clear decking, 25% black decking. A 32×4 main black stage with a 4×16 runway and a 8×16 runway stage that has a 16×4 “T” on the end. An all white runway stage. A 4×16 runway with a 16×4 “T” on the end and an 8×40 runway. 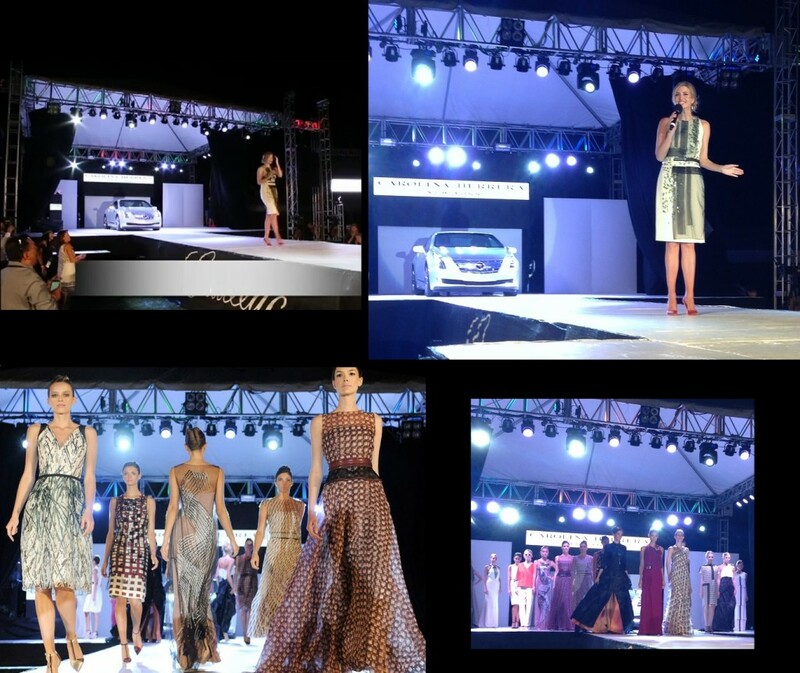 An all white runway and main stage with a car on the main stage. 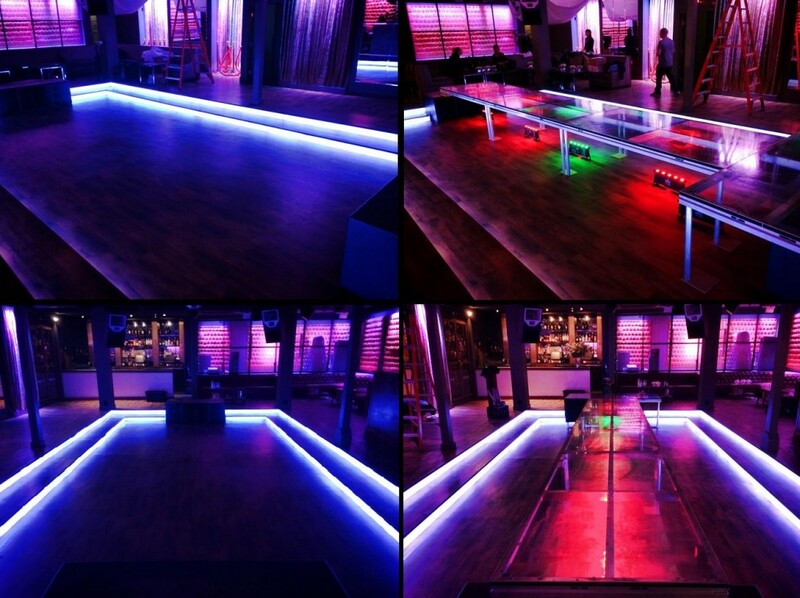 A clear 16x8x30″ runway bridged between 2 sub woofers and over a dance floor in a Night Club. 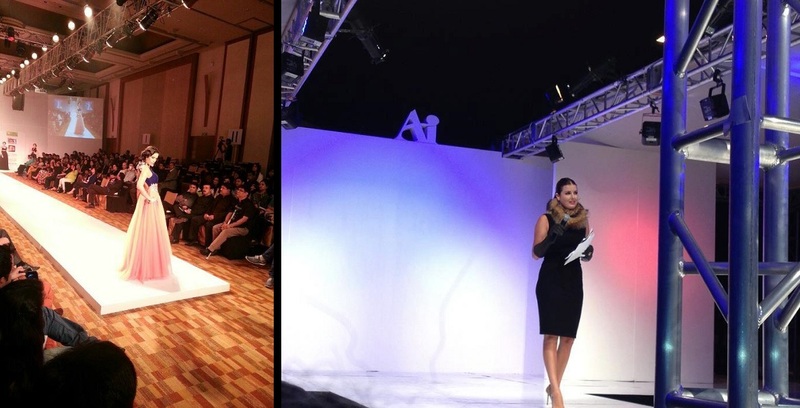 A 24×8 runway and a 32×4 platform bridged off an existing house stage for a fashion show. A clear runway stage set just under the top of the water line of a pool for a photo shoot.